Hmmmm…ok so it really has been a whole month since I posted last. I have to sweep up the dust and clear out some cobwebs before it starts getting all the tumbleweeds rolling through like Lyssi’s blog. Lack of posting doesn’t mean I’ve wandered from the game. I’ve still been working on gearing and leveling my toons–yes, including the mage now. If anything, I’ve kind of run a bit ragged bouncing from server to server. 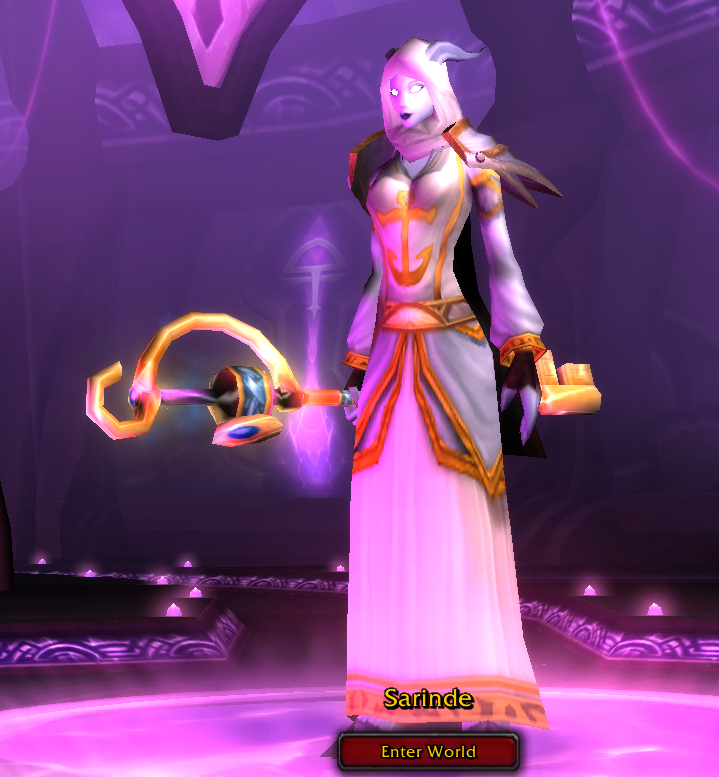 Her staff is some kind of key thing that kind of went with it and didn’t cost a fortune on the AH. If she ever get a main hand/off hand combo I will have to scramble again to see what kind of mog magic I can work up.